The Other Social Media Sites & How They Can Work for You Small Business - Mischa Communications, Inc. Mischa Communications, Inc. When it comes to social media, we talk a lot about the Big Three: Facebook, Twitter and LinkedIn. We sing their praises, and recommend that you put all of them to use in your small business marketing strategy. But there are some lesser known members of the social media family that also have the ability to spread the word about your small business. 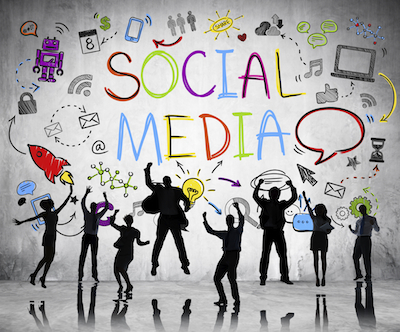 Let us introduce you to some of these other social media sites. Foursquare is a location-based social app that allows people to check-in at a place and gives them the option to share their check-ins on Facebook and Twitter. Foursquare also provides users with the ability to leave “tips,” snippets of information about a location, and earn “badges” — for frequenting a location often or — to display on their profiles. If you’re looking to incorporate Foursquare into your small business’ marketing strategy, try offering a check-in deal. Offer a special Foursquare discount that can only be unlocked when a customer checks in at your small business. Sometimes a picture can tell a story far better than words. When that’s the case, there’s no better platform than Instagram. Your small business can gain followers and interact with them on your page. You also have the ability to hashtag pictures and cross-reference them with what people are searching for so you can show off your small business’ best. Pinterest isn’t just for inspirational quotes and pictures of Bradley Cooper. (Although, you’ll find a lot of both on there!) It’s also be a really useful social media platform for small businesses. With Pinterest, your customers can pin pictures of your offerings on their account and spread the word about your small business. Pin discounts, coupons and prizes on your small business’ account, create unique boards to gain more followers and cross promote everything on your other social sites. Facebook, Twitter and LinkedIn have their rightful thrones in the kingdom of social media, but these other social outlets also deserve a shot in your social media efforts. Each platform is unique, so try them all out, keep the ones that work and If you need some help, drop Mischa Communications’ social media gurus a line.